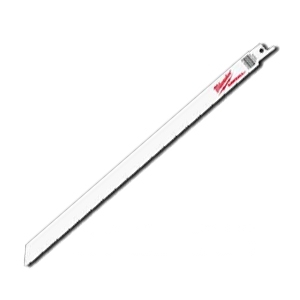 PRODUCT: 12 INCH x 5/8 WIDE SAWSALL BI-METAL BLADE, 10/14 TPI, 1/2 INCH TANG, GENERAL PURPOSE. 5/PACK. PRICE/PACK.